A different version of the Pitchman Act. 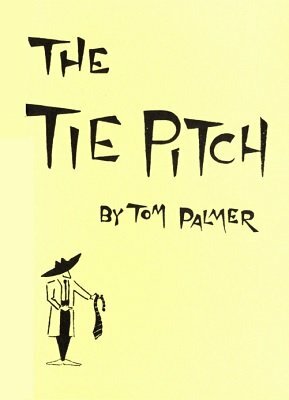 This one is based on the tie salesman. Everyone has seen the booth where they sell the cheap ties be it a pushcart, folding suitcase, or a department store counter. The performer is loaded with tricks and gimmicks and things keep happening every time he shows a tie. The routine is full of comedy with a lot of surprises and really clever bits. You probably have the material among your tricks and can easily fix up the rest. The ebook covers every detail, with lots of illustrations. 1st digital edition 2014, 11 pages. This is a wonderful act. It is funny, and has a lot of magic packed into it. Even if you never perform it, you should own this. It will teach you how to construct a full act, and character development. And if nothing else, it is a great read.